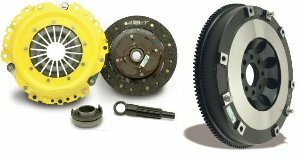 Aluminium clutch disc, pressure plate, and thowout bearing! 6 Kg lighter than the factory. With this kit you can have 35% more torque!